Traveling more should be a part of everyone’s New Year’s resolution, but where exactly should you go? Trafalgar Tours breaks down the best places you should visit in 2017. Discover the real Vietnam by visiting some rural fishing villages and trying food from the locals. Additionally, experience Vietnamese traditions like water puppet performances while perusing the hectic cities and various landscapes. 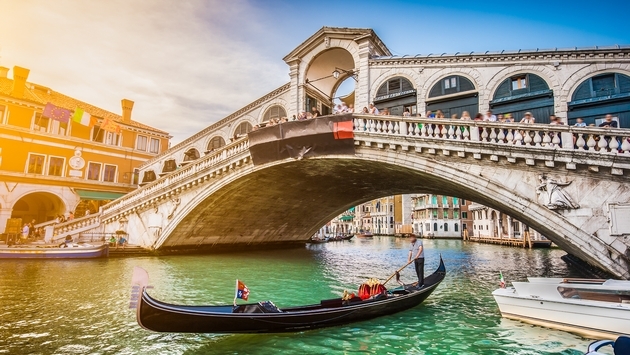 Chances are, you already know about the exceptional food, illustrious landscapes and the gorgeous ancient ruins and architecture that Italy offers. So what are you waiting for? Book your trip today! With beautiful scenery all around, as well as a rich history everyone should learn more about, Scotland is an underrated country that really should be on the bucket list for more travelers. Ancient castles, sensational coastal views and splendid food help make Ireland a top destination for travelers in 2017. Not to mention you will meet some of the nicest people in the world should you ever visit the Emerald Isle. Another country that is becoming a must stop for travelers, Portugal has a fantastic atmosphere with its Mediterranean culture and delicious seafood. With world famous ruins and a vast amount of historic culture seemingly everywhere you turn, Greece and its breathtaking views are a definite go-to destination to visit in 2017. From magnificent mountain views to the underrated beaches, Chile has a great deal to offer travelers. A great spot for adventure travel, come try new things and explore Chile in 2017. For more information on traveling to these destinations, visit Trafalgar Tours’ blog here.